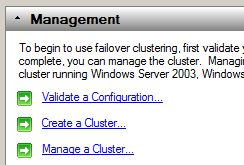 Note: For the next bit, need to be logged in with a domain user account because Failover Cluster Manager needs to access AD services for all servers in the cluster. Then Confirm, click Next >, and then Finish! 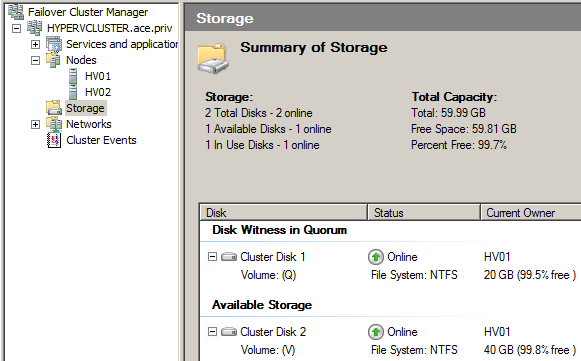 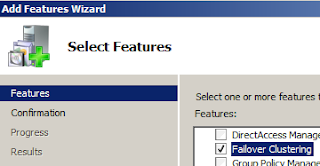 Note: If the Quorum is not automatically picked out, then right-click on the cluster object > More Actions… > Configure Cluster Quorum Settings… and chose ‘Node and Disk Majority’ and select your Quorum disk!